The Bobcat E45 mini excavator offers Zero Tail Swing. Excavate close to surrounding objectives with unrestricted rotation, greater flexibility and reduced potential for damage to the machine and surrounding property. Comes with 2' bucket. 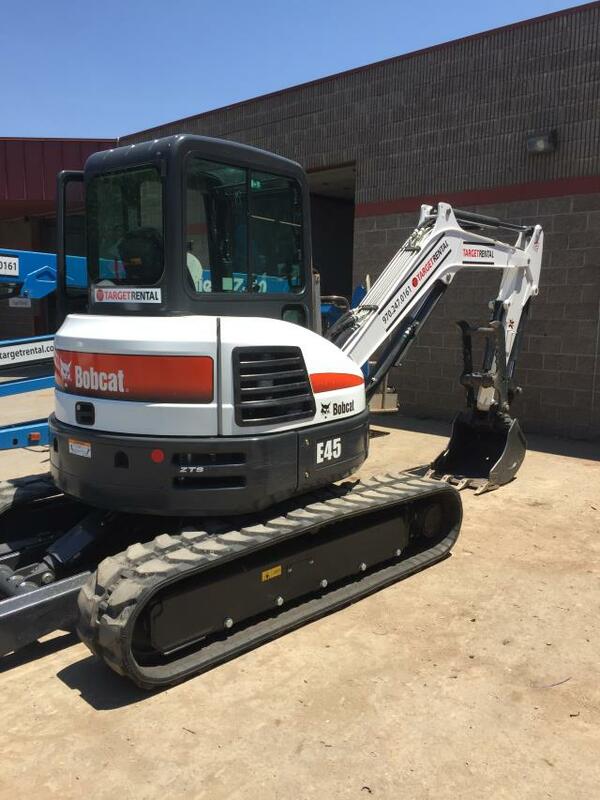 * Please call us for any questions on our excavator bobcat e 45 w/thumb rentals in Durango CO, LaPlata County, Mancos, Ignacio, Cortez, Bayfield, Pagosa Springs, and Silverton CO.